Freelance writer living in Melbourne. If you enjoy the following article please click on the 'like' button to give me feedback. I am a mum to two very active boys, who is trying to share her passion for nature, art, social justice and a love of life. Hanging Rock is about 1 hour north west of Melbourne CBD, which in 'travelling with children time' equates to almost a full movie and no toilet stop. 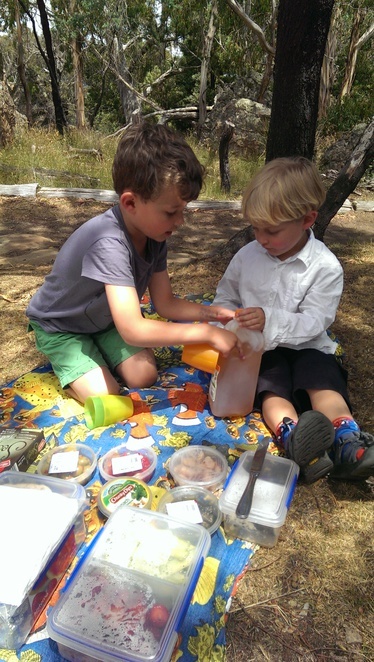 The drive is easy and relaxing, and once there your kids will be able to explore, discover and experience what is one of Melbourne's best known picnic spots. 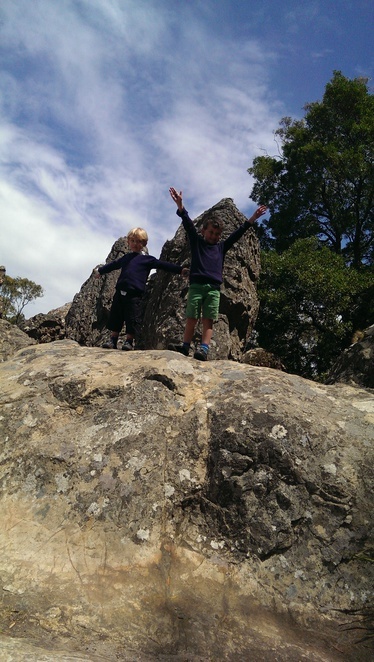 Made famous by the Peter Weir film of the same title in 1975, Hanging Rock is now a beautiful spot to walk, picnic and visit for a variety of events held there throughout the year. The Discovery Centre welcomes you as your family walk from the car park, which has a free self guided museum to explore and learn about local indigenous culture, the science behind the rock formations and the story of the Peter Weir Movie. You can purchase food and drinks from the Discovery Centre and public toilets are located outside the building about 50 away. If you have seen the film, you may start walking with a sense of mystery and perhaps feel that a little bit of doom may await you. However, if you are a child, who has not seen the film, it is simply a wonderland of amazing nooks and crannies to explore and investigate. The volcanic rock formations jut out from within the wooded eucalypt forest like a hidden city, waiting for you to climb and conquer. If exploring with children, stay close as there are many sneaky tracks to explore, which often result in fantastic views and as a result heights to fall from. We always let the kids feel like they are leading the way, by finding the markers along the path. 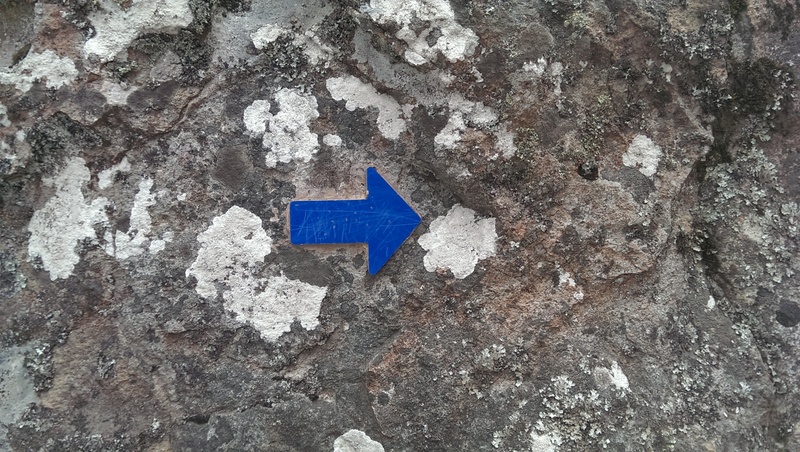 Let your kids feel like they are the hike leaders by following the markers. 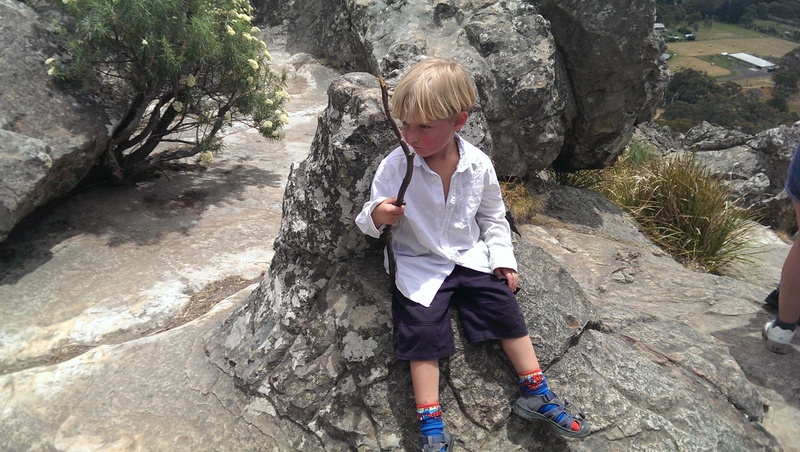 There is a well trodden path that is suitable for prams for most of the walk, however to reach the summit you will need to climb through, up, around and over rocks. If the kids stay to the path, they are completely safe. The walk is approximately a 2km round loop, but it is completely uphill one way, which makes for a fabulous downhill upon return. An average fitness is all that is required. If travelling with a pram you will go up and down the same path, as there are steep steps near the actual "Hanging Rock". The steps are suitable for a 3 year old to clamber up and down in good shoes. 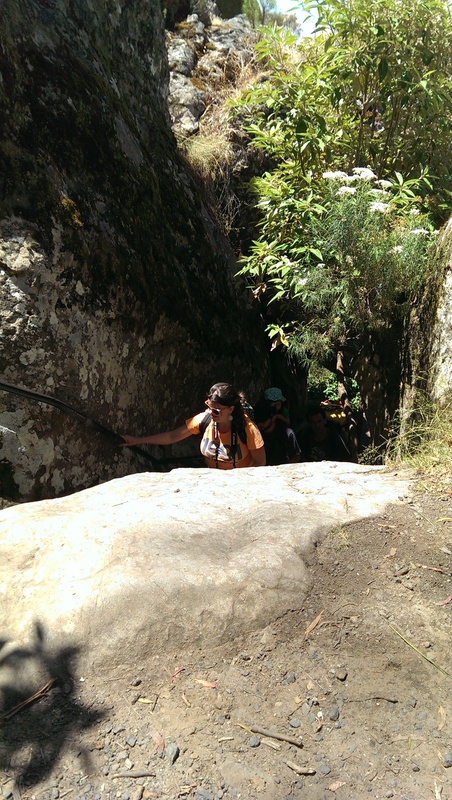 The track coming up from the "Hanging Rock". We carried our picnic with us, ate a delicious series of dips, antipastos, sandwiches and fruit then climbed the summit. 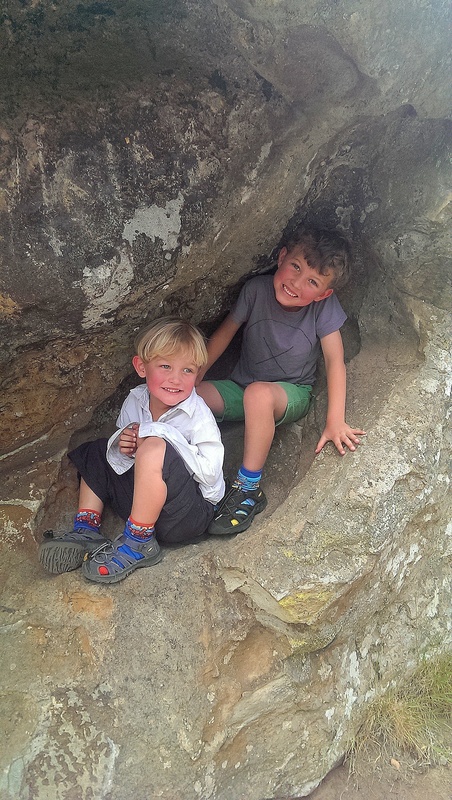 Close to the top is what we call the "King's Chair", where the boys can rest their weary legs before descending. You rest up Mum and Dad. We will make you lunch! Hanging Rock hosts a series of events throughout the year that we have not been to yet, but would love to hear from anybody who has. visitmacedonranges.com lists a series of events such as Horse Racing, Car Displays, Film Nights, Markets, Camp Outs, Night Walks and "Run the Rock" that sound fabulous. Hanging Rock is open every day from 9:00am to 5:00pm and costs $10 for cars to enter. When: Any time of year is beautiful. More articles by Two Boys. View all articles by Two Boys. Gorgeous photography of your kids. You all are going to all the places that we have on our list to do, and your reviews are very encouraging and informative. I guess I need to plan the trip as soon as the heat wave is over. Thanks for this article. Excellent. Thanks Nadine, hard to keep them still long enough for a photo sometimes! Great to hear Happy Mom!